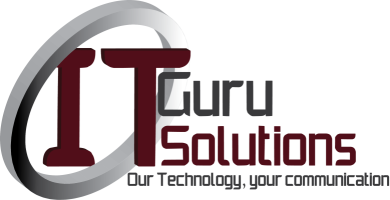 IT Guru Solutions offer a host of specialised IT solutions and services. To read more about each service, click on the heading you would like to read more about. Our IT support structure has been developed to fit your needs as a business, not force you to conform to our rules. We handle every aspect of your ICT infrastructure, so that you don’t have to. This saves you valuable time and money, allowing you to focus on your core business. Contact us to receive a free assessment of your IT infrastructure, so that we can help you save money and have a smooth and problem free IT system. Without a stable high speed network, a company is loosing valuable time and money. That is why we at IT Guru Solutions believe in providing the best in networking systems. IT Guru Solutions Domain hosting services are developed to help you get you on the internet at an affordable rate with reliable service. We are able to host every type of domain, from .com.na to .biz. If you require a website for your new domain or just need your current website revamped, look no further than IT Guru. With years of experience in both Microsoft and linux based server management, rest assured that your server is in safe hands with IT Guru Solutions. SoftBox is a onsite server, specifically developed to offer your business a comprehensive software management system. And FeuerBox which is a firewall and SME serve solution for SME businesses. The server is installed onsite. Namib Mailer is a message marketing system developed by IT Guru Solutions to give you as the client a professional and reliable system to send out your marketing material.